It’s not a secret that the more transparent, automated, and centralized your communication and collaboration processes are, the more productive your team is. Luckily, there are lots of tools that help you keep up with daily managerial and collaboration tasks. In this article, we talk about the most common types of collaboration tools to help you get insight on collaboration software and how it helps teams get their work done. Collaboration software allows teams to improve their workflows, strengthen team relations, and increase productivity, resulting in reaching end goals more quickly. Collaboration software is a powerful tool for communicating and completing tasks successfully. It’s especially important considering the increasing number of people working remotely. Common features of collaboration software include messaging, audio and video conferencing, task management, document management, calendars, and time tracking. Generally, collaboration software can be divided into synchronous (or real-time) and asynchronous. 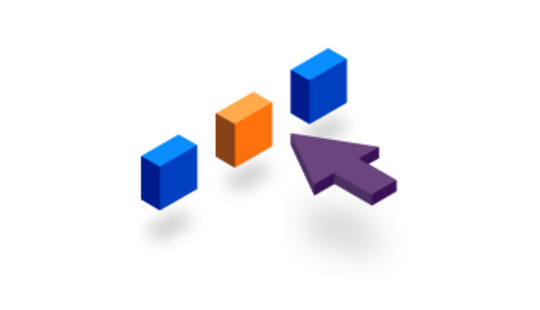 Using synchronous software, teammates can work together at the same time, for example with apps that allow several users to edit the same document in real time. 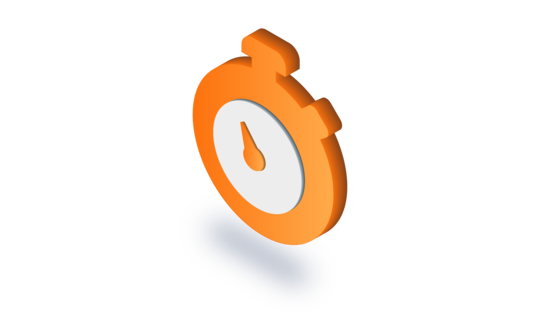 Asynchronous software enables users to work on the same task at different times. However, most collaboration tools combine features of several types. Fifty-nine percent of US workers claim that communication is the biggest obstacle that prevents their team from achieving success. To solve communication problems, communication software offers chat and audio or video conferencing so people can communicate within teams without having to travel. As a result, communication software saves time, helps solve problems faster, and allows remote teams to connect, which otherwise would be difficult and time-consuming. Let’s take a look at several examples of this type of collaboration software. Initially, Slack was used as an internal communication tool by the Tiny Spack team, which was developing a computer game at the time. The game wasn’t successful, but the company launched Slack and got a new name, Slack Technologies. As of 2017, the app had more than 6 million daily active users. 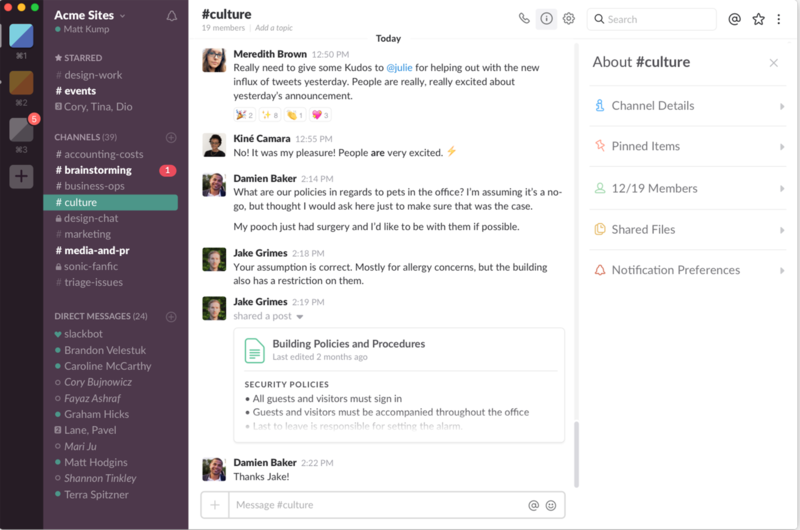 Primarily a communication tool, Slack allows you to send direct messages and create private and public channels for groups of people. You can also edit or delete sent messages, which is really helpful if you’ve made a typo. Slack also enables file sharing, and many users mention its drag-and-drop feature among its benefits. To make the workspace more useful, Slack makes it possible to add a number of integrations with more than 1,000 apps that are available in the Slack App Directory. If you need some information on how Slack works, you don’t have to spend time Googling because there’s a Slackbot that can answer simple questions. Just like Slack, Zoho Cliq started out as an internal tool to address communication issues within one company. This collaboration tool provides real-time messaging and the possibility to create separate channels (public or private). Zoho Cliq’s interface allows for opening several channels or chats in the same window so users don’t have to flip between them. It also lets users share files and make audio and video calls. Cliq’s other feature is bots that can help with tasks like setting up meetings. In addition to the key features of this communication tool like chat and audio and video conferencing, join.me offers screen sharing and whiteboarding. The latter enables drawing ideas on an iPhone or iPad. With this feature, teammates can see what another person is drawing and discuss it in real time. Join.me users often praise the fact that guest users don’t have to download the app to view someone else’s screen during a meeting. They do need to download the app if they want to share their screen, however. Task management is an important part of collaboration. Teams use task management software to prioritize and track tasks, which helps to keep track of deadlines. To make collaboration more transparent and effective, task management software often provides boards, timelines, and calendars. Here are some examples of software with task management features. Templates for projects, meeting agendas, employee onboarding, etc. Facebook co-founder Dustin Moskovitz and software engineer Justin Rosenstein started Asana to create a tool for managing tasks and team projects. As Moskovitz and Rosenstein noted, they faced challenges of tracking work even at Facebook and Google. We started Asana because we felt frustrated by how hard it was to get clarity on our teams through endless update meetings, email and chat threads, and project-status spreadsheets. 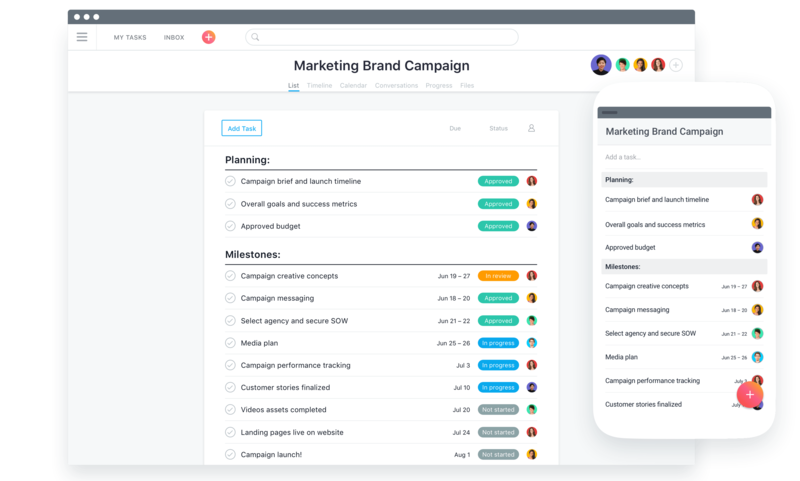 Asana was designed to help teams manage their projects and processes as well as achieve their goals faster. It provides boards, a timeline, and a calendar. 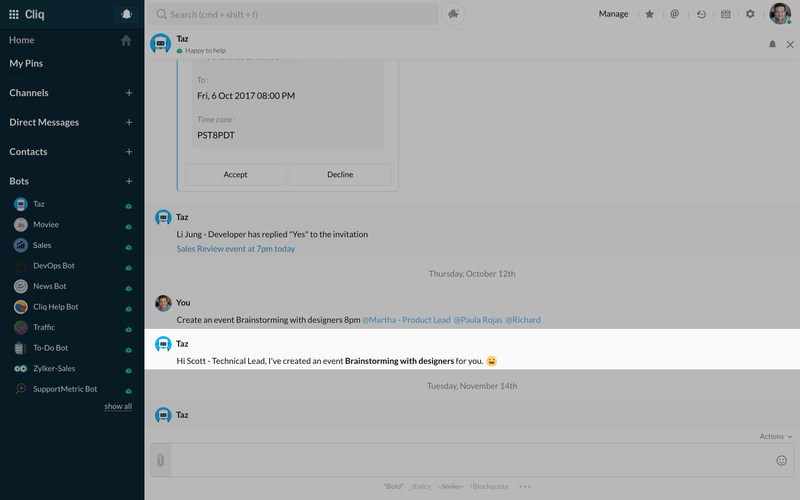 Asana lets users create tasks, comment on them, and assign them to people. Using the timeline, users can create project plans to stay on schedule. Asana provides a free version that offers a limited list of features, but this free version is only available for teams of up to 15. Bigger teams or teams that want to use its full set of features have to pay. Zoho Connect has communication features and allows users to create public and private groups to share ideas. Zoho Connect users can also place a file or create a document within a group so that their teammates can view or edit it. Speaking of task management, Zoho Connect lets users create boards with sections and move tasks between them. To make collaboration more convenient, Zoho Connect integrates with Zoho tools and other apps and supports a large number of languages including Chinese, Russian, and Spanish. Andrew Filev founded Wrike after he faced a number of challenges managing his software development company. As that business grew, so did waste; and it seemed like adding developers to a project would often make that project move slower instead of faster because they were spending more time communicating than they were actually working. Today, Wrike is cloud-based collaboration software where teammates can communicate, share files, manage tasks, and track their time spent on tasks. To manage work, users can create folders or projects and add tasks to them. Lots of Wrike users note that the ability to create subtasks is really useful. Wrike also provides report templates and a timeline for viewing the project schedule. Document and content management software allows users to store, share, and work together on different files. Most of these tools track history of changes that different users make. Some collaboration apps and platforms also have features like chat and video conferencing, allowing users to collaborate on a document and communicate at the same time. Let’s take a look at collaboration software that has the features listed above. Google Docs is probably the first thing that comes to mind when you think of document management tools. With Google Docs, users are able to invite other people to view, comment on, or edit a document and collaborate in real time. Google Docs includes a number of templates, such as for resumes and reports, for streamlining typical tasks. Users can also import text files to edit in Google Docs. There are various add-ons available including for creating charts and diagrams, mind mapping, and proofreading. What most users like about Google Docs is the ease of access and use. With Confluence, teammates can view and edit the same page at the same time so everyone will see real-time changes. Confluence also allows for editing attached files using the edit with app feature. Because of its complexity, however, some users point out that some training is necessary to be able to use this product efficiently. Scott Schreiman and Martin Viktora created Samepage to combine the features of communication, project management, and content management software in one collaboration tool. 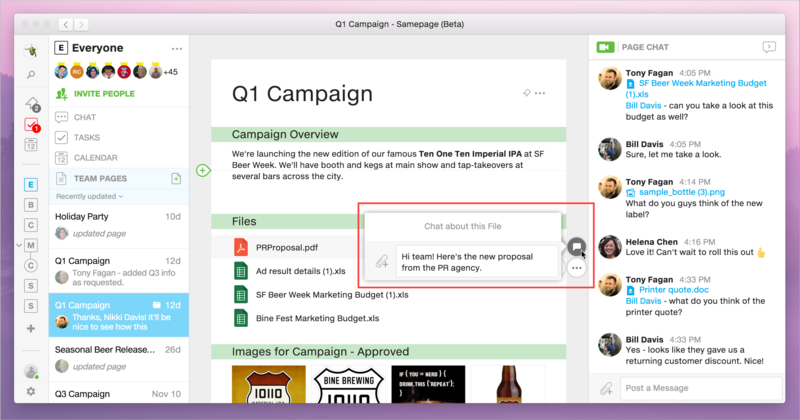 Samepage provides teams with a place to chat, store files, and manage tasks. In addition, Samepage also enables cooperative writing and synchronous editing so users can add text and files and share their feedback. Samepage allows a team to edit a page together in real time while communicating with each other to get work done faster. According to user reviews, one of Samepage’s main benefits is its flexibility in customizing the page for each project. Different types of collaboration tools offer different cool features. But the most important thing you should keep in mind is the problem you need to solve. Why do you need collaboration software? What do you want to achieve with its help? Understanding your company’s needs and requirements will help you determine what features are most important in your particular case. Find out what communication problems your team faces and what kind of content you share and collaborate on. 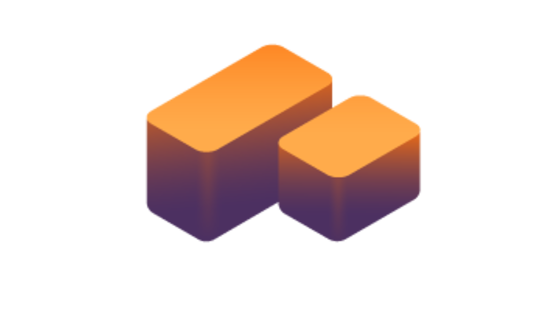 Before making your final decision, you should also check if the collaboration software can integrate with the tools you’re already using, for example Jira or Dropbox. You can also make a checklist of features based on your needs, workflow, and current problems. That will help you pick the best option for your team. Want to build your own collaboration tool? Get in touch with our team and share your ideas! How much does it cost to build a web app like Trello?